The Gazebo enthroned at Schönbrunn Palace. Play the Sissi in Vienna, like the late legendary star Romy Schneider who played on the big screen the life of Empress Elisabeth. 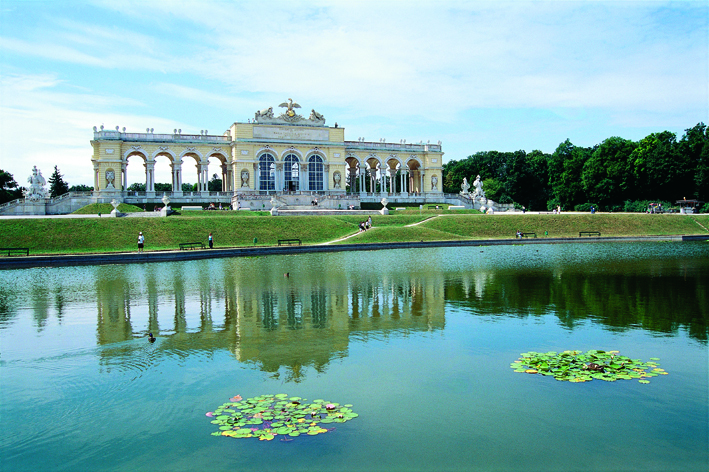 She liked to take her morning coffee and walk to the Gazebo, part of the Schönbrunn Palace and monumental construction enthroned at the top of the hill. But Vienna is also the cathedral of Saint-Etienne, the Opera, the Imperial Palace, the City Hall, Belvedere Palace, the Parliament, the Museum of Fine Arts, the capital of music and many other beauties that make the rich heritage of Austria. Overview. A few hundred meters from the Schönbrunn Palace located at Hietzing, to the west of the city center of the capital Vienna, the Gazebo is perched at the top of the park and gardens. In neoclassical style, designed by Ferdinand von Hohenberg, it offers panoramic views of the castle and the city of Vienna. Gazebo is etymologically close to glory. Designed in triumphal arch, it commemorates the victories of the Empress Maria Theresa on the Prussians of Frederick the Great in 1765, and can be seen from the back of Schönbrunn Palace. 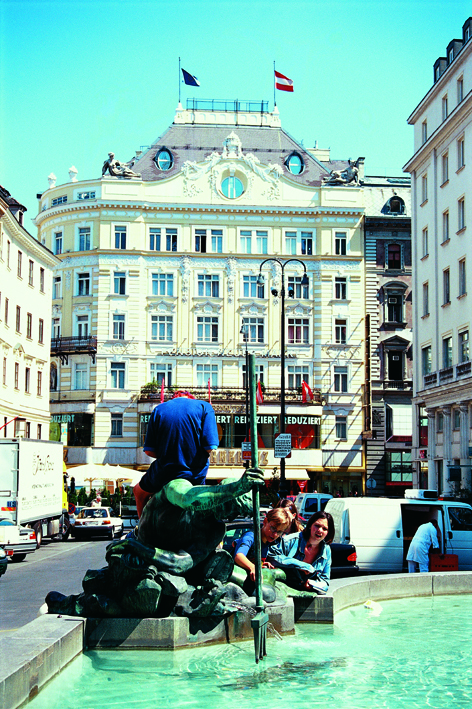 Climb to the top and see the top of the building, the imperial view and all the beauty of Vienna! Declared World Cultural Heritage by UNESCO in 1996, the castle is the site of Austria that attracts the largest number of visitors. Baroque ensemble of the most prominent in Europe, it tells the story of the 70th Habsburg dynasty, where once the emperor Matthias discovered the ‘Schöne Brunnen “meaning the Belle Fontaine. Symbol of Austria, Schönbrunn Palace goes back to 1569, when a hunting enthusiast, Emperor Maximilian II, transformed the manor and lands in a hunting castle. Destroyed by the Turks in 1683, it was rebuilt by Leopold 1st for his son Joseph 1st and this hunting area turned into a summer residence with a garden extending up the hill to the Gazebo. But it is to the Empress Maria Theresa that we owe the present appearance of the castle, related to her time and what she loved. During the years 1772-1780, the architect of the court of Maria Theresa, Ferdinand Hetzendorf von Hohenberg, creates among other attractions, his main work in Schönbrunn, the Gazebo. 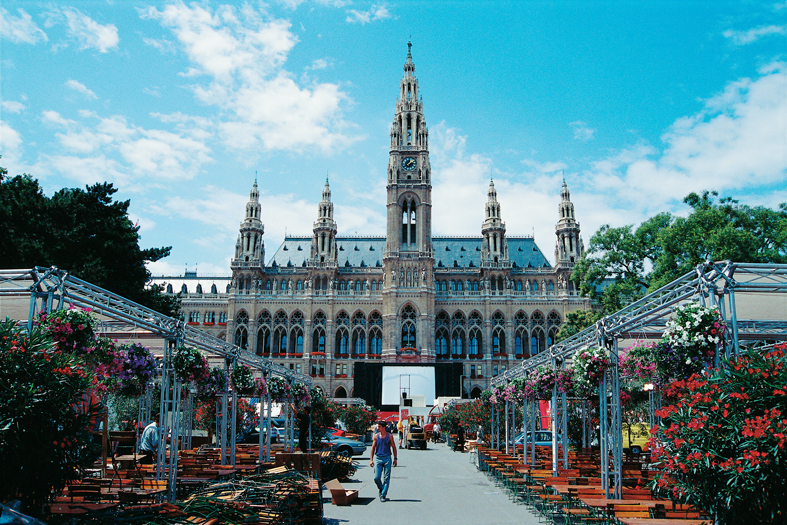 Since the XIXth century, Vienna is one of the main cultural centers of Europe. It is one of the first operas in the world, its construction lasted eight good years, from 1861 to 1869 in the style of the First French-Florentine Renaissance. Inaugurated in 1869 by Mozart’s opera Don Giovanni, the building can host 2,209 spectators over an area of 9000m2. 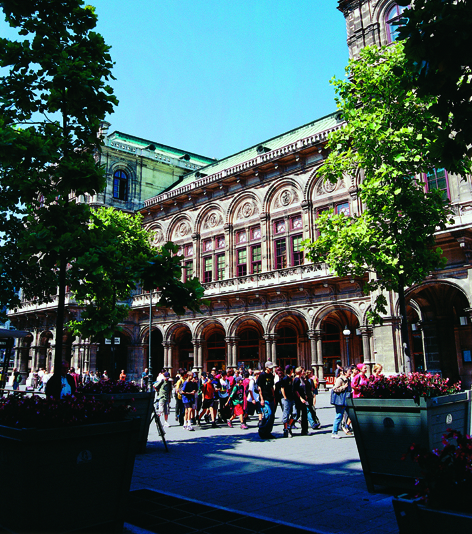 The Vienna Opera consumes energy, the same number of kilowatts that a city of 30,000 people needs. And its construction did not please the Court nor the people. Bombed and burned in 1945, the Vienna State Opera has had a grand reopening in 1955 with the masterpiece of Beethoven, Fidelio. Built between 1872 and 1883 according to the plans of architect Friedrich Schmidt, many concerts are held in the arcaded courtyard during the summer season. 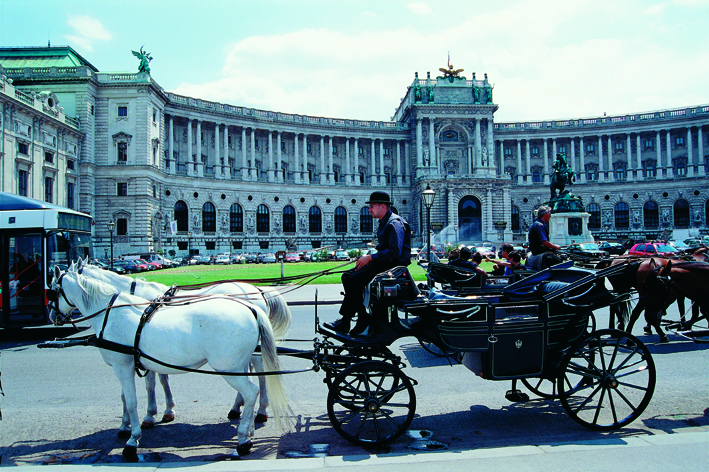 In Vienna, significant and numerous museums await you. They are one of the many and beautiful attractions of the city. Among them, the Museum of Fine Arts, located on the Ring, rich in unique art collections. On the first floor is the art gallery. On the mezzanine, the plastic art collection and the second floor, the coin collection. They are among the largest in the world. Opened on May 1st 1865, the Ring is the most impressive and the most beautiful avenue in the world, surrounded by beautiful gardens and magnificent monuments. Nostalgic tour: the Wagenburg or the Viennese coach carriage will give you during one hour, the impression of being a great emperor. 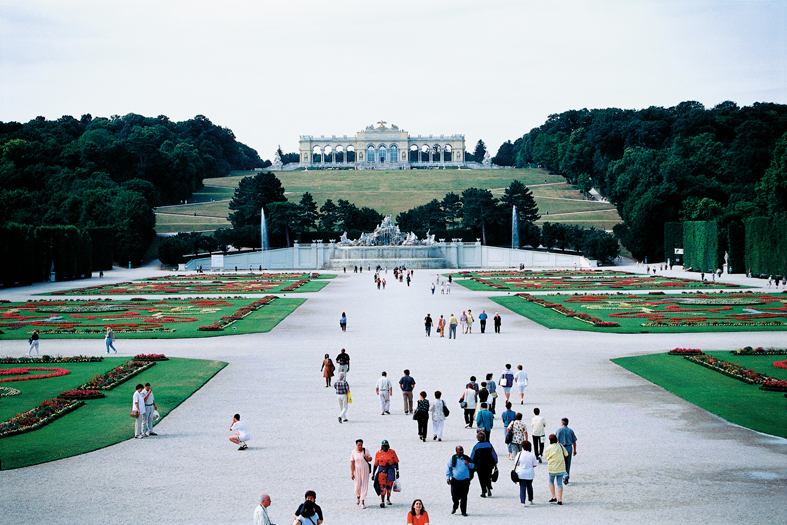 More than eight million visitors stroll every year in the enchanting gardens of Schönbrunn Palace, witnessing a bicentennial history. 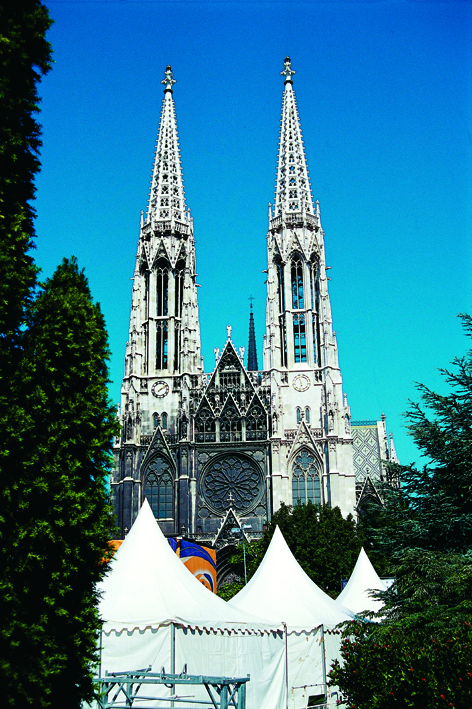 Symbol of the historical greatness of the city, the Cathedral of Saint-Etienne is located in the center of Vienna. The plans for its construction were made during the reign of Rudolf IV, its founder. However, it took two hundred years to complete its construction in stages. Between the beginning of the construction of the south tower in 1365, and that of the north tower in 1467, remained unfinished, a Renaissance dome was built between 1566 and 1570. The cathedral is distinguished by its Gothic tower of 137m, identification sign of the city, since it can be seen from any part of the city. To enter the church, take the Romanesque door on which are enthroned two towers nicknamed “pagans” of 64m each. The church, divided into three parts with twelve columns, is located in the central nave of the cathedral. The pulpit built in 1510, is a cornerstone of the work. The four Fathers of the Church and the image of Our Lady of Domestic Service complement the ornamentation. A panorama of dream, the city extends to the horizon in all directions. The Cathedral of St. Stephen suffered severe damage by the Soviet army in 1945, and the fire ended up destroying the monument. But its magnificent architectural structure has been restored thanks to the generosity and patient work of the Viennese. Only the beautiful stained glass windows could not be rebuilt.